Sunrise is in an extremely popular area for safe swimming, fishing, kayaking, cockle collecting and hiking. Enjoy the open plan spacious living area which flows onto the deck. The conservatory is perfect even on days that aren't sunny, the views are great - or snuggle inside by the fire. There is plenty of room to park up your boat and toys, water is supplied by a private scheme for outside use. For large groups and families, 'Sunset' bach right next door can possibly be rented for extra space, really comfortable too! Sleeps 5+. The estuary is popular for windsurfing and kayaking. Boards and small boats can be used from a boating trust just down the road (see extras). Only minutes away from the famous Mussel Inn, a short drive to Collingwood offers cafes, grocery store, pub, Rosy Glow chocolates. This area has a number of potters and artists studios, Farewell Spit tours, Wharariki Beach and the Heaphy Track. Wharaiki Beach - This is by far one of the coolest beaches in New Zealand ! Huge rock formations, huge sand hills, huge caves, cliffs, dunes , white sand and baby seals . The trail is amazing through farms and beautiful hills . You can even meet peacocks in the car park! Farewell Spit - Farewell Spit is New Zealand’s longest sand spit (25 km) and a nature reserve. It is an internationally-renowned bird sanctuary with over 90 bird species recorded in the area. Heaphy Track - One of New Zealand’s nine great walks. Many people choose to walk only to the first or second huts on the track instead of walking its entire length which have toilets and running-water facilities. The Heaphy Track, one of New Zealand’s “Great Walks” is now a Great Ride. Mountain Bikers are now permitted by the Department of Conservation to ride the Heaphy Track between May 1 and September 30. Takaka township is only a 15-20 minutes drive where you will find lots of shops for retail therapy, cafes, grocery store and markets on Saturdays. perfectly adequate place to have a beach stay on a beautiful beach. Little more basic than we expected, but very comfy bed and great position. Had a lovely stay. Cute Bach, only a few steps from the most amazing beach! We had a great stay. Clean, roomy and less than a minute walk to Parapara Beach. Good communication. Ocean Front Beach house was great place to stay and explore Parapara. Excellent location. 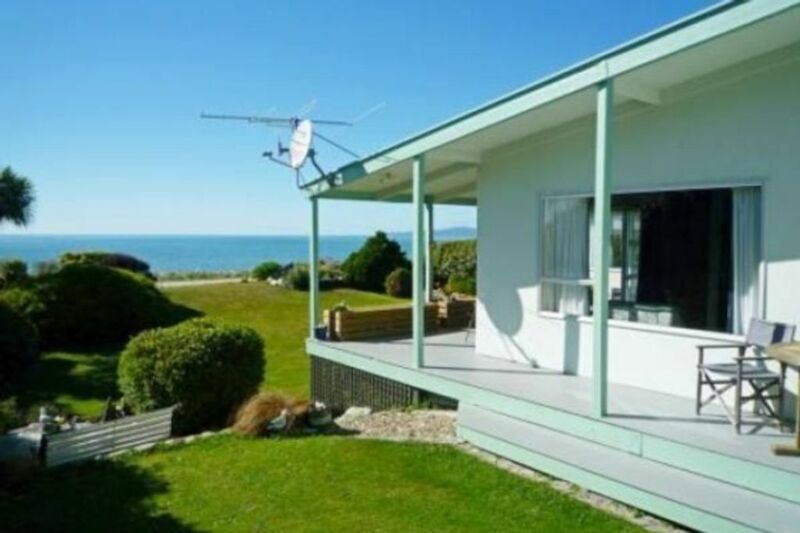 A great kiwi Bach that had everything you needed, with the beach right on your doorstep. If you are looking for somewhere close to the beach and kick back with friends and family then this is the place.